A grant is a financial award that does not need to be repaid. In other words, it's free money! Grants are typically awarded based on your financial need, unlike scholarships, which are usually based on academic excellence. Grants are available through federal, state, private, and university sources. Funds are limited, so apply early! 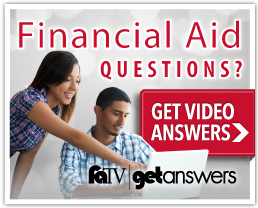 You must submit the FAFSA and all other documents by the priority deadline of January 15, unless otherwise indicated, to get maximum consideration for grant funding. Questions? Contact the Financial Aid Office. Please note: Certain grant award amounts may be adjusted based on actual enrollment as of the Official Reporting Day (ORD) on the 12th day of class. The Federal Pell Grant, unlike a loan, does not have to be repaid. The Pell Grant is considered a foundation of federal financial aid, to which aid from other federal and non-federal sources may be added. The maximum Pell Grant award for the 2018-2019 award year (July 1, 2018, to June 30, 2019) is $6,095. The maximum award can change each award year and is dependent upon program funding. Actual award amounts are determined by EFC and enrollment status. You can receive the Federal Pell Grant for no more than 12 semesters or the equivalent (roughly six years). You may not receive Federal Pell Grant funds from more than one school at a time. The Federal Supplemental Educational Opportunity Grant (FSEOG) program is for undergraduate students with exceptional financial need. Schools are allocated a limited amount of funding. Just like the Pell Grant, FSEOG does not have to be repaid. Current or former teachers or retirees seeking additional education. These students sign an agreement with the US Department of Education indicating their intentions to teach full-time in high-need subject areas for at least four years at schools that serve students from low-income families. For students who do not meet the teaching obligation, the grant converts to a loan with interest accrued to the date of disbursement. Students may receive up to $16,000 for undergraduate study and up to $8,000 for graduate study. Part-time students are eligible, but the maximum grant will be reduced. This program, administered by the state of Texas, provides assistance to students with financial need who are seeking a first Bachelor's degree, a graduate degree or professional degree. Texas residents and nonresidents who meet the priority deadline of January 15 are eligible. Students must be enrolled and maintain at least 9 hours enrollment each term to be eligible for this award. Students who complete the Recommended, Foundation, or Distinguished Achievement High School Program in an accredited Texas high school and meet certain eligibility requirements are automatically considered for this state-sponsored program. The priority deadline for the TEXAS Grant is January 15. Students who meet the requirements for priority consideration must be awarded before any other IY eligible students. If funding is available after all priority students are awarded, awarding will begin for students meeting the basic requirements. Students not currently meeting eligibility requirements may complete and submit the Texas Grant Review Form. If summer grades are required for review, they are reviewed after summer grades have posted (end of August). Hardship forms are reviewed and approved by the program coordinator. In the event the coordinator is unable to determine a decision, the hardship is forwarded to the assistant director over TEXAS Grant. Approved hardships are awarded TEXAS Grant for the upcoming year. The appropriate RY award is placed on their account. Hardship forms are reviewed in the order received and subject to fund availability. 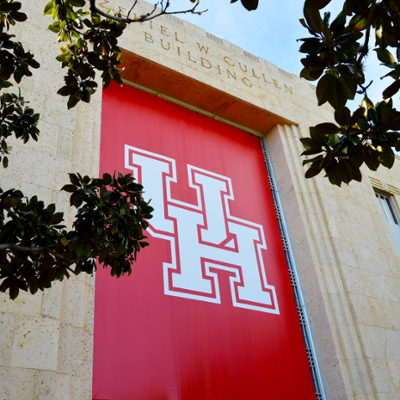 This UH program awards grants to undergraduate students with exceptional need who meet the priority deadline of January 15. Students must be enrolled and maintain at least 9 hours enrollment each term to be eligible for this award.